register at the registration site. your submission will be considered for inclusion in the program only if all 3 steps have been completed. there will be a check of the final version: if the eventual comments of the reviewers have not been taken into account, then your paper may still be rejected. As soon as your paper is uploaded it is checked and if the paper pass this check you will receive a first acceptance email. Note however that the paper will be included in the Proceedings only if one author has registered. As soon as the paper has been checked and one author has registered you will receive the second and final acceptance email (note that receiving the second acceptance email implies that your paper has been checked and that your payment has been confirmed). Note that there is 2 to 4 days delay before we can confirm a payment. Hence authors of checked papers may receive the first acceptance email (acceptance provided registration) although they have registered but they will receive the second and final acceptance within a few days. We strongly advise you to submit your final version as soon as possible: if you submit at the last moment and your paper still needs to be revised, then the paper will be rejected (currently we have requested that about 10% of the final version papers be re-uploaded). PaperPlaza will acknowledge the deposit of the final version but if you have not received a confirmation email within 7 days after the submission date please contact the Conference Secretariat. Paper format Six pages in the standard IEEE format (see the templates below) are allowed for each paper, including figures. A maximum of two additional pages are permitted at an extra charge of 150 € per page. This amount will be payable when registering (see the registration section). Digest: it's a single Powerpoint slide that will printed in a booklet which will be distributed to all conference attendees. The attendees use often this booklet to determine which session they will attend. Hence it's important that you provide a clear information on your paper in the digest file. It is compulsory to use the digest template iros08_DigestTemplate.ppt (download) for designing your digest. Submissions failing to respect the digest instructions will be rejected. Reminders: The author which submit a paper is responsible for getting the agreement of his/her co-authors. The Conference Organization will assume that such an agreement has been obtained. Authors are also responsible to submit papers in the required format. All papers that are accepted will be published as submitted by the Author. The Conference is NOT responsible for editing or correcting errors in the paper or digest. 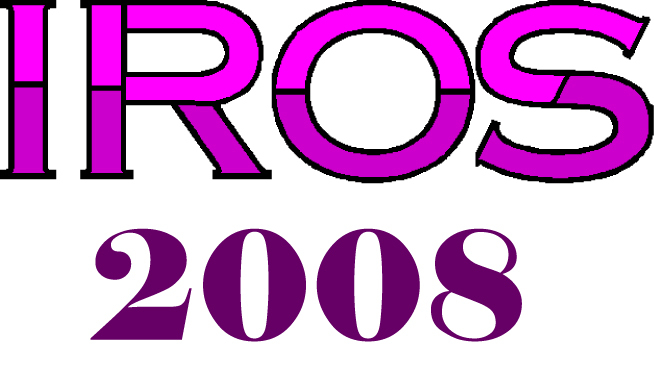 Note: If your paper is accepted, at least one of the authors listed on the paper must register for IROS 2008 when the final manuscript is uploaded to PaperPlaza. At the time time of uploading the final manuscript, a single regular conference registration can be used to upload at most 2 papers while a single student registration can be used to upload only 1 paper. For any question about the submission process, please contact the secretariat of the program committee.